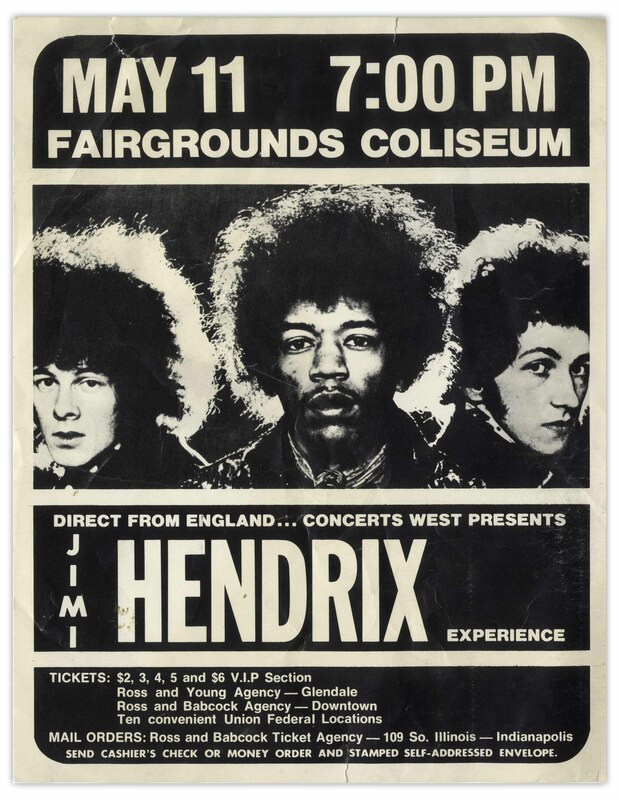 Jimi Hendrix Experience concert handbill, promoting their show on 11 May 1969 in Indianapolis, one of the last shows of the original lineup of Hendrix, Noel Redding and Mitch Mitchell. Glossy handbill measures 8.5'' x 11''. A few small closed tears at edges and creasing, overall very good condition.